The weekly chart of part of alphabets was worked on Saturday. This week’s stitches eastern and beaded eastern stitches were worked on the earlier TAST challenge. The link to this blog was posted on facebook group. 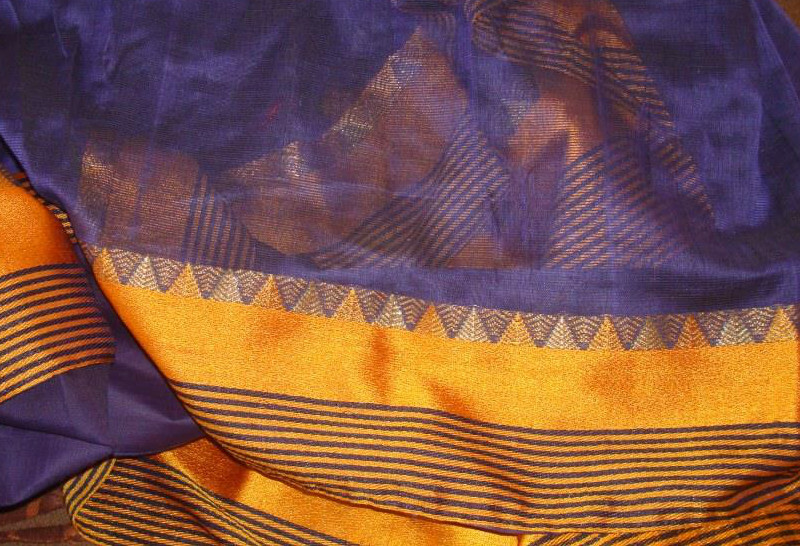 Our sarees are 5.5 metres long. The side which meets the ground will endure lots of wear and tear. To minimize the damage, we attach a 5 inch strip with over 2.5 metres length along that edge. 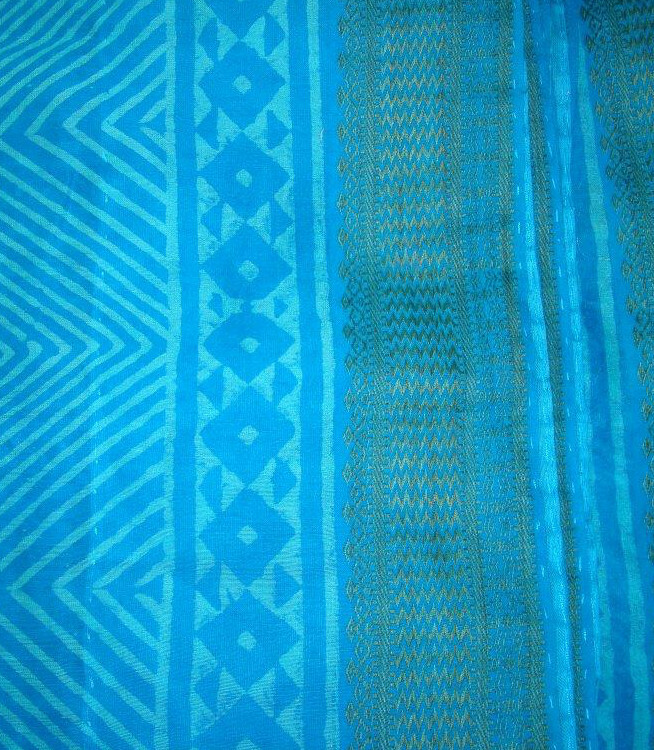 These are called saree falls, easily available in many colours in India. 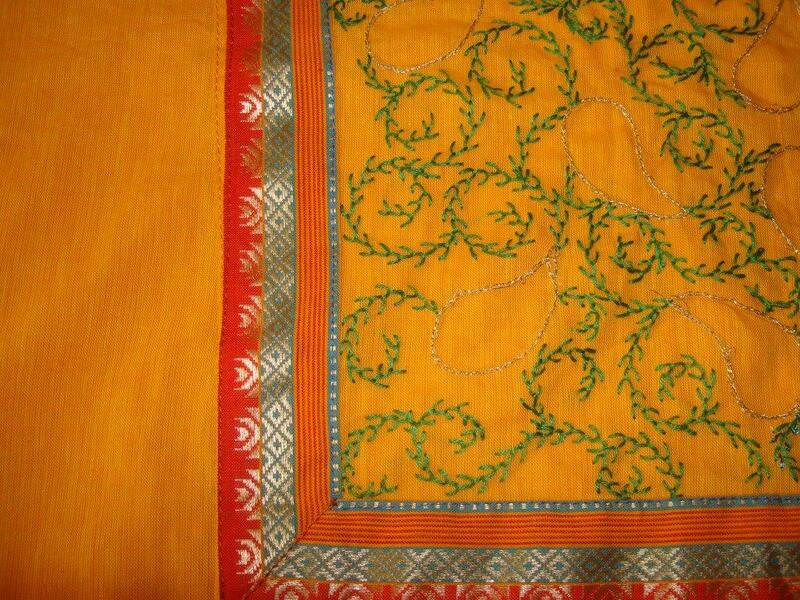 These falls are attached to the saree with running stitch. This repetitive work is quite relaxing and meditative and I love doing it. These two sarees were safeguarded during this week. 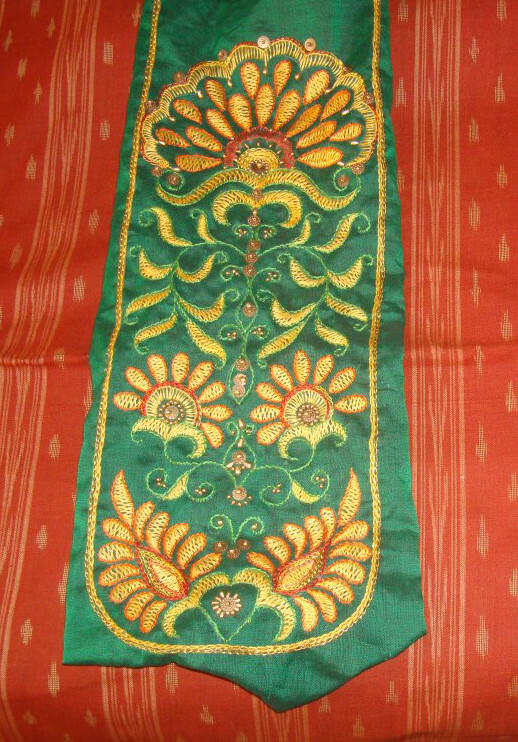 Chain stitch and herringbone stitches are worked in red fine silk thread. I started with feather stitch creepers on this tunic. This is freely drawn design. 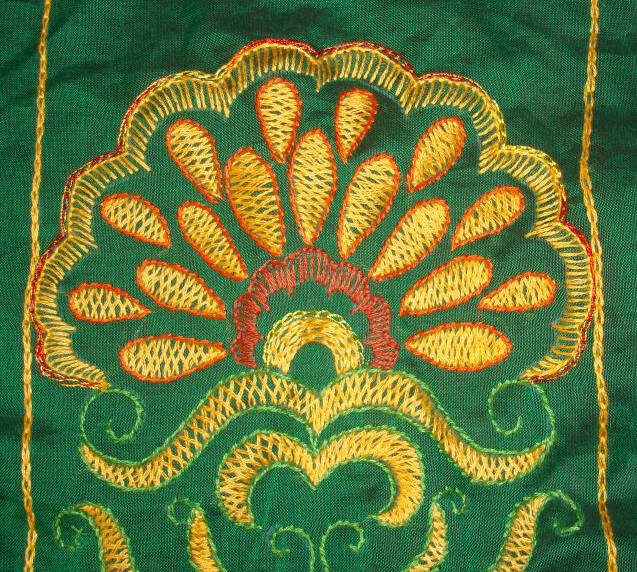 An embroidered piece was lying in a bag, because the original combination was not attractive anymore. 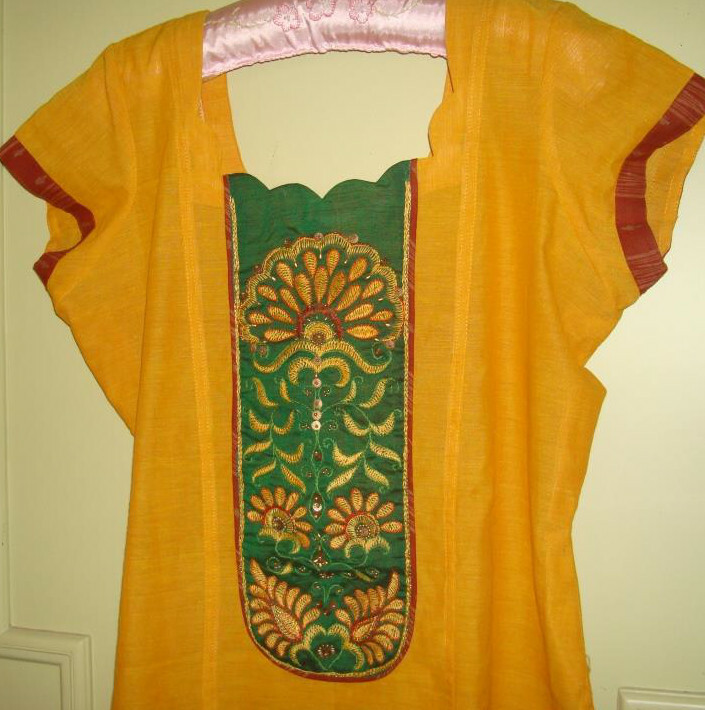 A yellow handloom cotton fabric was chosen for this piece. The finished tunic. 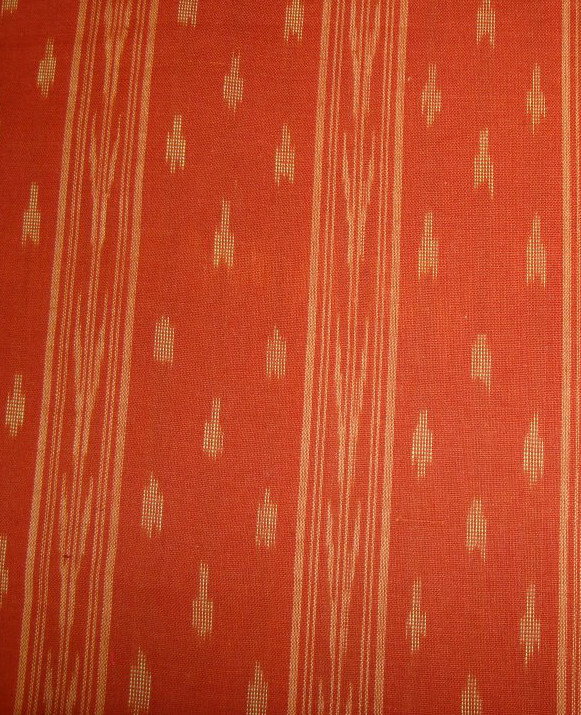 This brown ikat fabric was there for quite some time. The weave gave an impression of yellow. This brought about an idea of working the embroidery in yellow. Suddenly a green fabric popped into the picture and I started working the embroidery on it. The embroidery was mainly worked in herringbone stitch with a chain and buttonhole stitches thrown here and there. Then slowly brown thread came into the picture. Most of the herringbone shapes are now outlined in brown thread. 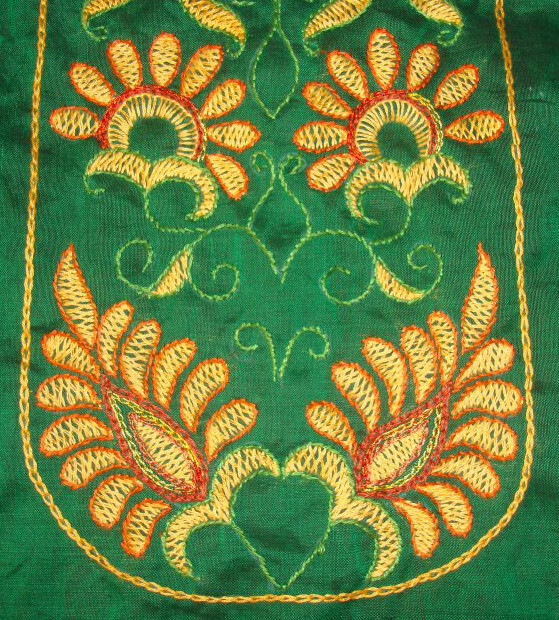 After outlining the leaf shapes in green thread, variegated fine silk thread was used. These details show clearly the places where variegated thread was used. Continuing with gold metallic thread. 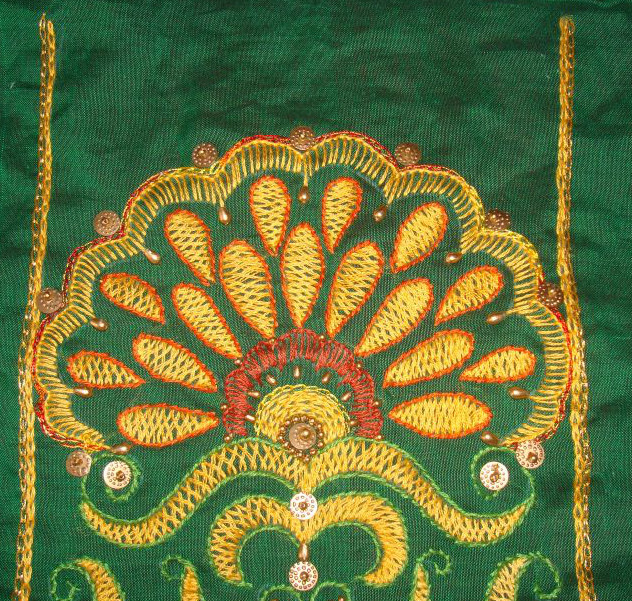 Gold beads and sequins were added in the last part of this embroidery. The detail of the embroidery placed on the brown ikat fabric. I realize that the green fabric is overpowering. A slight shift had to be done, so a yellow cotton fabric was bought. This combo was given to the tailor and it came back like this. Now for the detail. 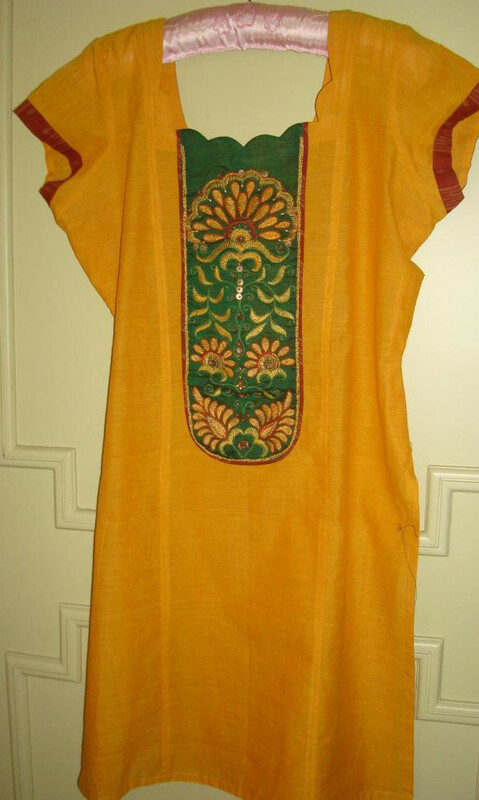 The embroidery and the sleeves have brown ikat fabric on them. This project taught me to be cautious before bringing in another colour [this case, green]. 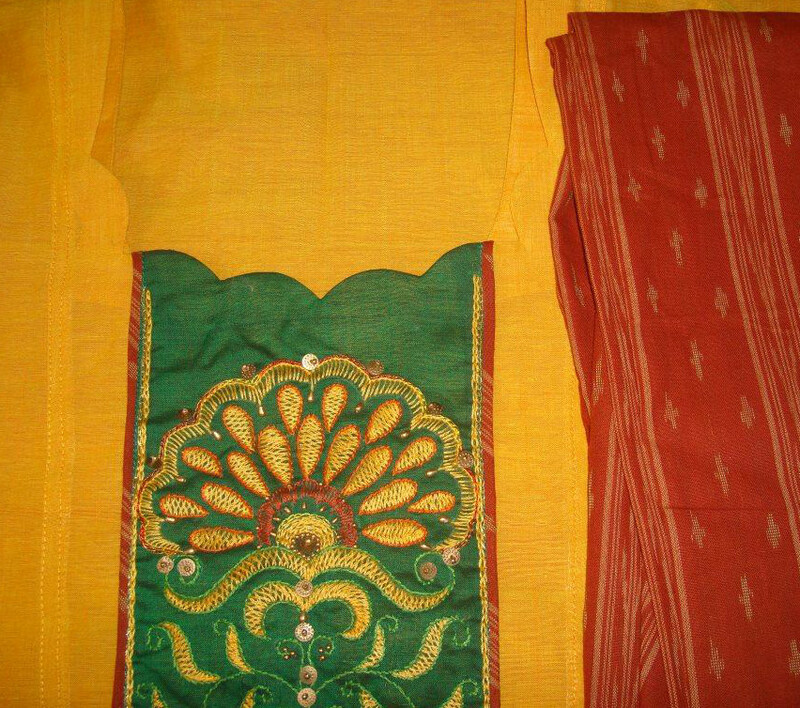 And if the deed is already done, start looking for ways to improvise, this case plain yellow fabric.